What component does the 'coupon' label refer to in terms of PCBs? I was looking at a motherboard recently and I found a couple interestingly labelled component footprints. They're two through-hole mounted components right next to the CPU, and they seem to be called COUPON1 and COUPON2. The problem is, the two components were never put into the board, so I have no way of knowing what the holes are really for. I did some Google searching, but all I could find were links to cheap motherboards and PCB. Most of us think of a coupon as a small tear out thing in a magazine or sales mailer that is used to save money when you buy something. In the PC board world these were generally added to the periphery of a PCB layout (or at the periphery of a matrix of boards when a batch are step and repeated on a panel). The design would be that these would be scored for breakaway or routed with snap off tabs so that they could be removed before deploying the actual circuit board. It is likely this removal nature where the usage of the coupon terminology came into play. Note that coupons need not be manufactured as a break away part of the circuit board and may in fact be designed as a separate small circuit board that is placed on the same panel as the circuit boards. Contain traces with known length and spacing so that they can be measured to see if the produced circuit board meets the intended impedance characteristics. These traces can be single ended or dual traces operating as a differential pair. Holes at the end of the traces accommodate test probes for the measurement process. Sometimes pads are placed on the coupon for placement of components by the pick and place machine. High usage components on the BOM such as the 0.1uF and 0.01uF capacitors are included on the pads of the coupon. Other critical components are included as well. The idea is that these components can be probed by automatic test equipment after board assembly to check their values to ensure that the feeder reels in the pick and place machine were loaded with the proper components. The coupon components generally have no other circuit connections other than test points so it is easy to measure their values accurately. Another use for coupons is to use them for cross sectioning to validate that the board stack-up was done correctly with the proper thickness of copper and insulator layers between copper layers. The coupon permits the tests without having to sacrifice a whole circuit board. It is my experience that the inclusion of "coupon" usage directly into the PC board design itself is an unusual extrapolation of the terminology. That said I fully agree that in the example board that you showed they are almost assuredly used for trace impedance measurements. Their placement next to the CPU would likely signify it's a jumper for a selectable option. They would have a standard 0.1" jumper or dip switch. If you had mentioned the board manufacturer or part number, or the intended CPU type, we could confirm. Not the answer you're looking for? Browse other questions tagged pcb components footprint or ask your own question. What reasons are there to avoid vertical through-hole resistors? What does the term “turnkey” means or refer to in the Engineering/Manufacturing environment? 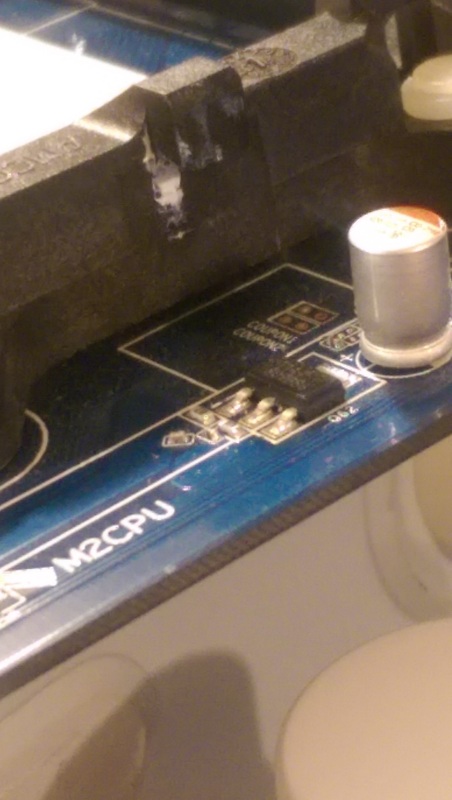 Removing PCB from complex pattern of soldered-in thru-hole posts? How should I design a schematic component for a component library? How do you carry non-circular drilling with an SMD part in gEDA pcb? what does this schematic symbol refer to? 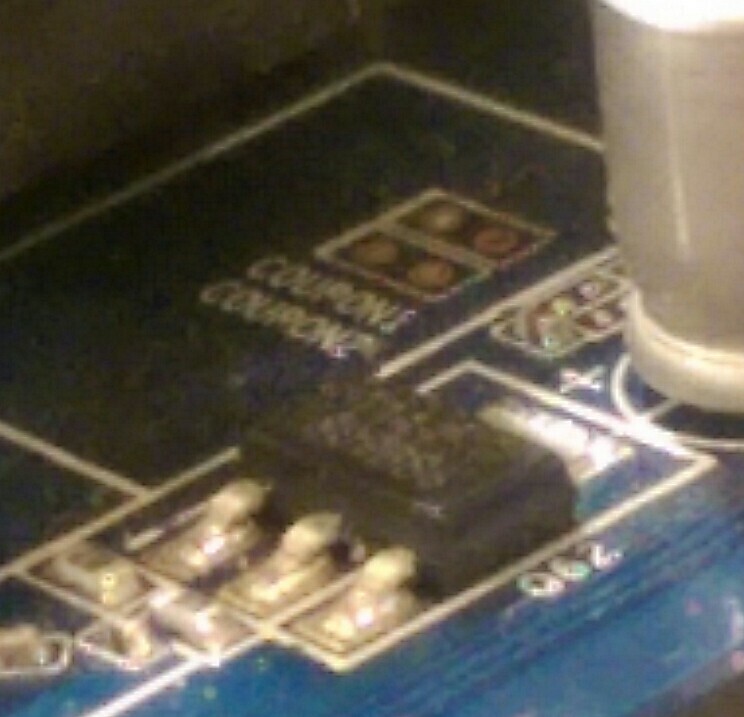 What is the name of this component and purpose?